You can reach all members of the Capitolbeat board of directors by e-mailing board@capitolbeat.org. Laura is Capitol Bureau Chief for WRAL-TV/WRAL.com. 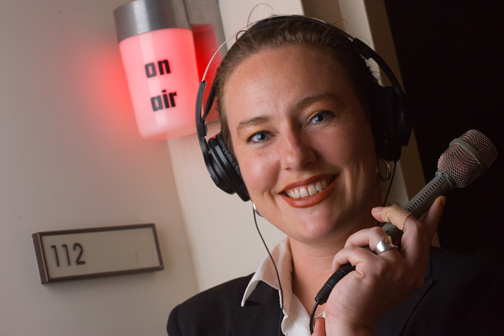 She’s been in Raleigh since 2004, covering the NC statehouse for North Carolina Public Radio till early 2011. Before that, she was at KXJZ in Sacramento, where she covered the election of Gov. Arnold Schwarzenegger. She’s worked in public radio since 1994. She’s been a board member of Capitolbeat since 2005, and president since 2007. She’s won radio and blogging awards from Capitolbeat, the AP, SPJ, the Public Radio News Directors, Radio/TV News Directors, and various other groups. She was also a lead reporter on a WUNC series that won a DuPont-Columbia baton and a Casey medal. Her work has been heard on NPR and Marketplace. Laura has a Masters in English from Indiana U. and a BA from Stetson U. She’s worked as a teacher, a dot-com editor, and a bartender, and she lost to Ken Jennings on Jeopardy. When she isn’t reporting or blogging about NC politics at @NCCapitol, she’s probably either gardening or wrangling a houseful of rescued pets. 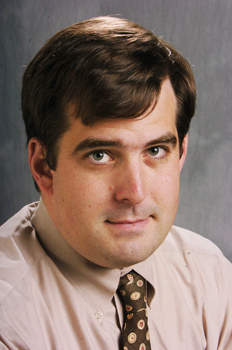 Mark Binker has been the state government and politics reporter for the Greensboro (NC) News & Record since April 2005. A lone gunman, Binker is also the author of Capital Beat, a blog focused on state politics and the legislature. Before moving to the state legislature, he covered a variety of municipal and business beats for the paper. In the deep dark past, he was a suburban intern for the Philadelphia Inquirer. 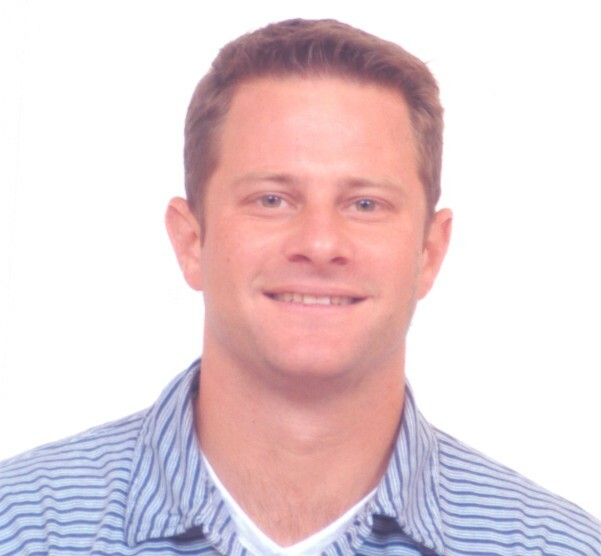 Binker got his undergraduate degree in Psychology from Johns Hopkins University and his M.A. in Journalism from the University of Maryland. Binker is married and has two sons. A Capitolbeat member since 2006, Binker has served on the board since August of 2007. He was the 2008 Raleigh conference chair. Over the course of 24 years working for The Columbus Dispatch – 19 of them as a Statehouse reporter – Johnson has covered five gubernatorial administrations, traveled to 22 countries on city and state trade missions, reported from three national conventions, and stumped through dozens of national, state and local political campaigns. He is now assigned to criminal justice, mental health and mental retardation and other human interest Statehouse issues. He also has electronic publishing duties with The Dispatch. He has been secretary of Capitolbeat for the past year and a member of the organization’s national board of directors for three years. Over the past decade, Johnson has become Ohio’s leading reporter on capital punishment and criminal justice issues. He covered nearly all of Ohio’s 27 executions since 1999, conducted numerous Death Row interviews, and written in-depth about lethal injection and related topics. In 2003, following his two-year series of stories in The Dispatch, two men once sentenced to death – Timothy Howard and Gary Lamar James – were freed from Ohio prisons after serving 26 years for a bank robbery and murder they did not commit. They subsequently received wrongful conviction settlements totaling $4 million, the largest in Ohio history. He won the 2007 Thurgood Marshall Award from the Death Penalty Information Center, was nominated from an Emmy for his work with the Ohio News Network, and has received dozens of Associated Press and other writing awards. Johnson began his journalism career in 1973 after graduating from Indiana University. He previously worked for newspapers in Dayton and Springfield, Ohio. He is the father of two children and has a granddaughter. 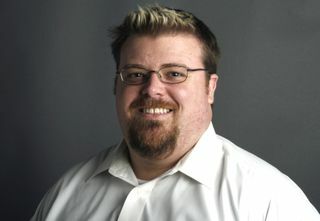 Ryan J. Rusak is state government and politics editor of The Dallas Morning News, overseeing five reporters in the paper’s Austin Bureau, along with the Washington Bureau. He directs coverage of the state Legislature, state and national campaigns, and issues of public policy ranging from education and health care to taxes and the state budget. He has overseen coverage of three legislative sessions, several statewide campaigns, and the national campaign of 2008, and he has helped cover four national political conventions. During his time as state government editor, the paper’s Austin Bureau has won numerous awards for breaking news and investigative work. Rusak joined the Capitolbeat board in 2008. He grew up in Texas and graduated from Texas Christian University in 1998. He lives in Dallas with a sweet mutt named Roxy, is an obnoxious Pittsburgh Steelers fan and enjoys exploring cocktail history and mixology. Kathleen Haughney is a reporter for the News Service of Florida, covering education policy, the courts and children and family issues. Kathleen is a 2007 graduate of Penn State University with degrees in journalism and American Studies. She received her masters’ degree from the University of Illinois where she covered the Illinois General Assembly and the Rod Blagojevich administration for the St. Louis Post-Dispatch. James Pindell is the new political director for Hearst television station WMUR. James has followed his passion of politics by reporting on it in five states, two of those being the early presidential states of Iowa and New Hampshire. The Washington Post called him the “Insider’s Insider” for his coverage of New Hampshire politics. He ran PoliticsNH.com for four years before joining the Boston Globe in 2006 as a reporter and blogger covering the 2008 New Hampshire primary. He covered the 2000 Iowa Caucuses for the Des Moines Register, and was the Statehouse Bureau Chief of the Morgantown Dominion Post. James is an Adjunct Professor at New England College, and has provides analysis on national and state television and radio stations on a regular basis. Peter Wong has reported on Oregon public affairs for 28 years, longer than the tenures of most of those he covers. He has been a Capitol bureau reporter since early 2000 for the Statesman Journal in Salem, the state capital. Before then he was a political reporter for the Mail Tribune in Medford (1989-2000), based in Salem during legislative sessions, and a political reporter for The News-Review in Roseburg (1979-89), and a frequent visitor to Salem. He has been president of the Oregon Legislative Correspondents Association since 2000, a member of Capitolbeat since 2001, and the senior member of the Oregon Capitol news corps since November 2005. He also was a reporter for the former Daily Report (now the Inland Valley Daily Bulletin) in Ontario, Calif., from 1975 to 1979. While there he covered politics in one of Southern California’s fastest-growing counties. He is an alumnus of the University of Southern California in journalism and political science, and while in college was an intern in the U.S. Senate and for the Newspaper Fund Editing Internship Program, assigned to the now-defunct Providence (R.I.) Evening Bulletin. He’s won awards from the Northwest region of the Society of Professional Journalists, Oregon Newspaper Publishers Association, California Newspaper Publishers Association, Press Club of Southern California, Education Writers Association, National Lesbian and Gay Journalists Association, and recognition from the Bruce Baer (Oregon) and C.B. Blethen (Northwest) award competitions. He lives six blocks from the Capitol in Salem, but he doesn’t sleep in the Capitol (most of the time). Kevin M. Goldberg is special counsel at Fletcher, Heald & Hildreth. His expertise is in First Amendment issues, especially those relating to newspaper and Internet publishing. He regularly advocates issues involving freedom of speech on behalf of press organizations, including lobbying against a proposed constitutional amendment that would allow criminalization of flag desecration, lobbying in favor of increased access to government records and proceedings, and protecting the rights and privileges of reporters. Kevin also consults regularly with these organizations concerning the continued freedom of speech on the Internet, focusing on issues such as regulation and voluntary implementation of blocking software. Kevin assists newspapers and television and radio stations in prepublication review of stories for possible legal problems. When not preserving our democracy, Kevin is an avid soccer player, referee and fan, having played the sport for almost 30 years. He boasts a near-100% attendance rate at United States National Soccer Team Games played in RFK stadium since 1992 and his fandom of the Manchester United Football Club borders on obsessive.